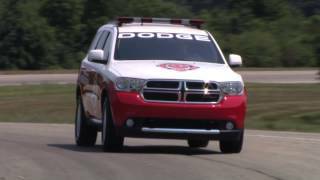 Dodge has prepared a Special Service Dodge Durango, a full-size SUV with best-in-class power and utility, designed for police, fire and general fleet customers. In comparison with the standard Durango, the Special Service model features a heavy-duty brake package, heavy-duty battery, larger-output 220-amp alternator, heavy-duty water pump and engine oil cooler and a load leveling suspension. A customizable rear cargo area with under-floor storage compartments and additional storage in the side compartments is unique to the Durango Special Service. 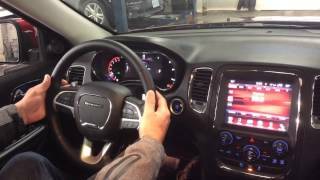 With new LED exterior lighting, two new interior touchscreens, a new programmable instrument cluster and an available high-definition dual-screen Blu-ray entertainment system, the 2014 Dodge Durango reaches even higher levels of sophistication building on its proven performance, utility and comfort. 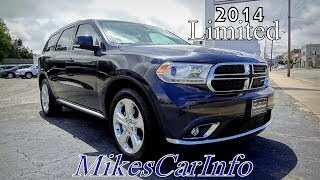 The 2014 Dodge Durango Special Service will be powered by the 5.7-liter HEMI V8 engine producing best-in-class 360 hp and 390 lb.-ft. of torque and the standard 3.6-liter Pentastar V-6 engine generating an impressive 290 hp and 260 lb.-ft. of torque. Both will be paired to a new and more refined eight-speed automatic transmission giving lower fuel consumption. 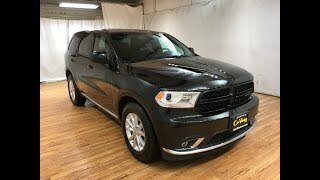 The 2014 Dodge Durango Special Service will be offered with a 5-year/100,000-mile fully transferrable powertrain warranty and will enter production in the last quarter of the year.